Hello. 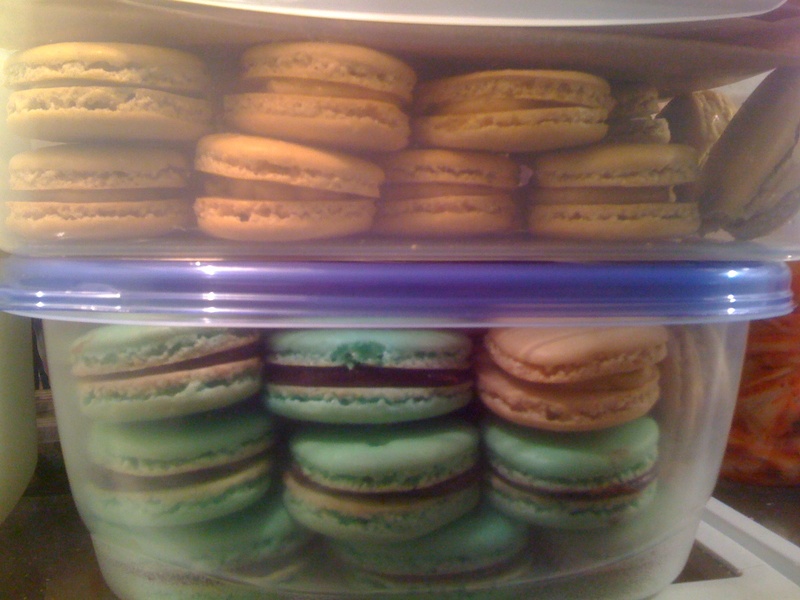 My name is Chow Bella, and I’m a macaron addict. My obsession with the little Parisian gems first began in September, when, in the throes of post-planning depression after the wedding, I decided to channel some of my pent-up creative energy into making macarons, which are notoriously temperamental and difficult to make. For those who aren’t familiar with the Parisian macaron, it’s a type of sandwich cookie comprising two meringue disks with filling in between. Think of it as the Oreo’s fancier, cuter and daintier French cousin. 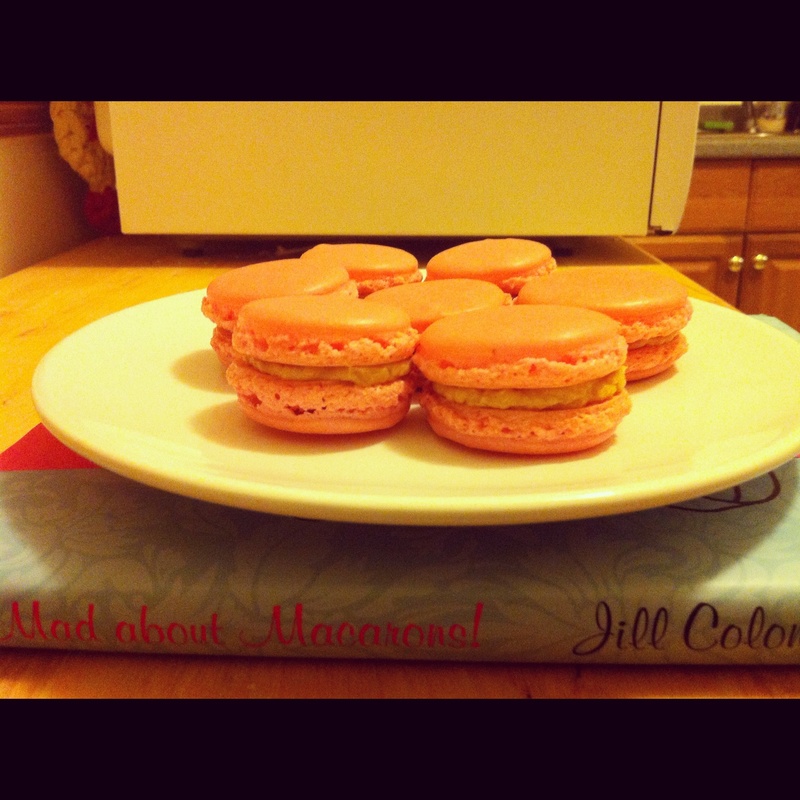 Armed with Jill Colonna’s book “Mad About Macarons” (seriously, I’ve had the best luck with her method), I set off on my culinary adventure, following the instructions to a T. The road from egg white to finished macaron is a long one, fraught with potholes in the form of incorrectly measured ingredients, humidity, and overly low/high oven heat. But the results can be pretty amazing if you get it just right. My first batch, consisting of a plain almond shell and honey buttercream filling, turned out amazingly well, if I do say so myself. 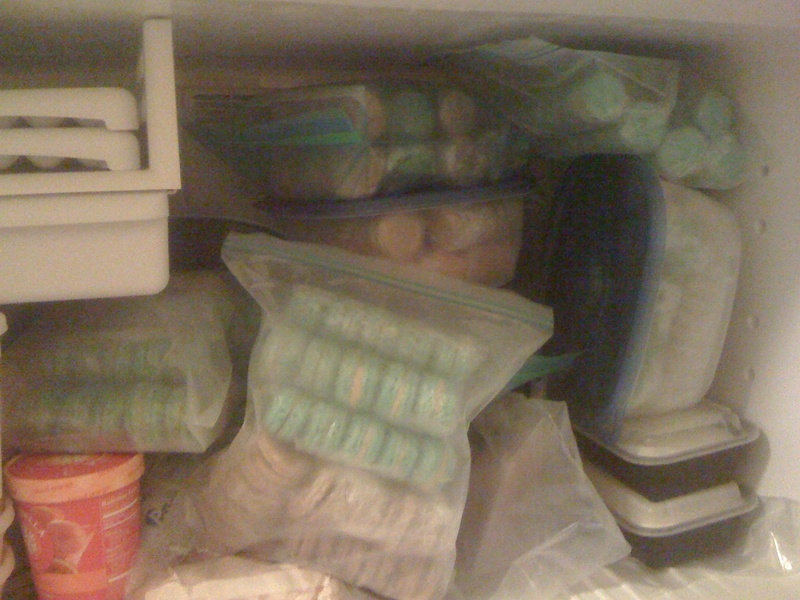 But this first success would open the floodgates to my macaron madness. I started doing some serious research on different flavor combinations that are out there, starting with the menu from Ladurée, the Tiffany & Co. of the macaron world. 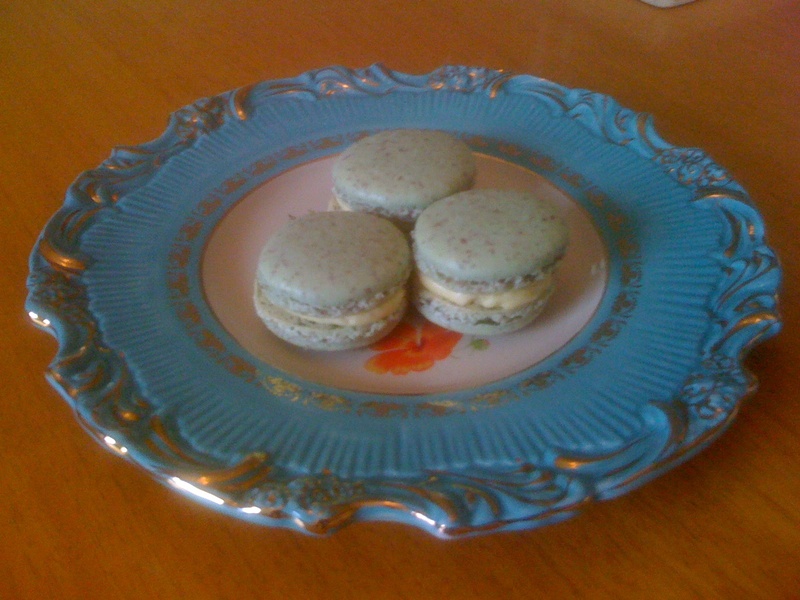 Then I bought “Les Petits Macarons” by Kathryn Gordon and Anne E. McBride to get more flavor ideas, and, after days of planning and mixing, matching and adapting recipes, I made a couple of batches for Thanksgiving dinner (five-spice shells and pumpkin-bourbon buttercream filling). After getting the approval of five real Parisians, I knew my macs were legit. From there, I just went about crazy making macs as Christmas presents. 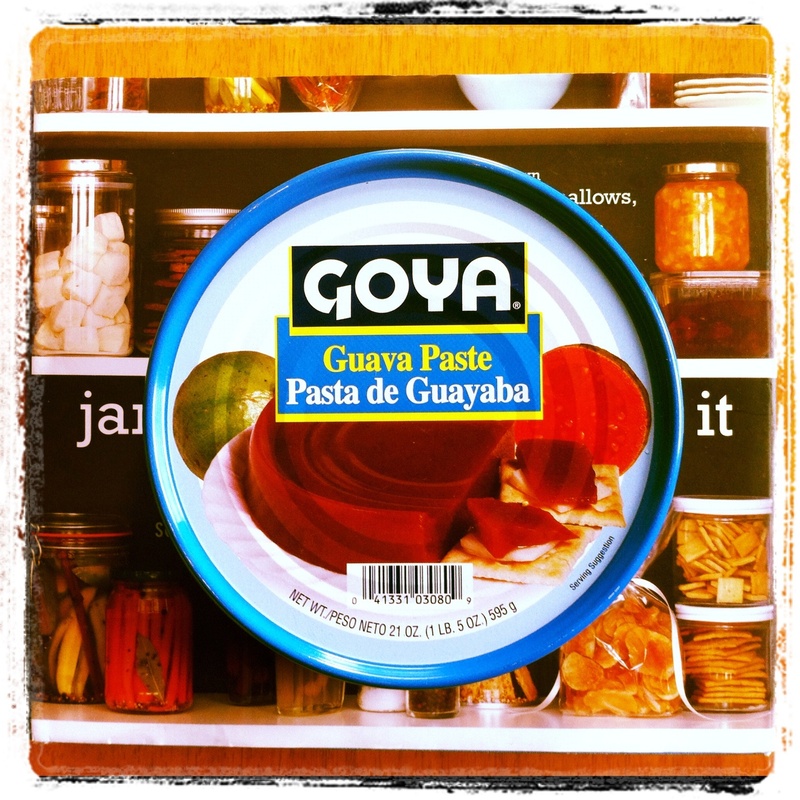 Then, emboldened by the success of these batches, I went into overdrive, dreaming up a rainbow of tantalizing flavors for my friends and family back home in Orange County, California. I had grand plans of packing up hundreds of frozen macs into an insulated bag with ice packs for the 10-hour trip home, thawing them out, placing them in pretty boxes, and delivering them lovingly by hand. Yep. I’d officially gone off the deep end. All in all, I’d made close to 450 macs in five days. I’d even made extra shells for the tons of leftover filling for Dr. J and I to hoard and nibble on over the next few weeks. 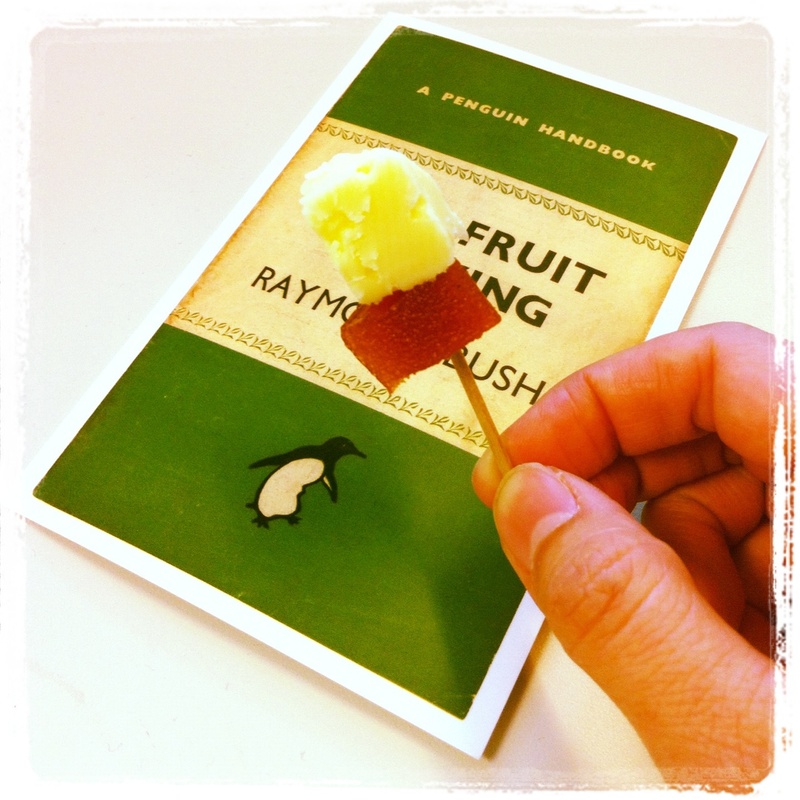 Even though the process nearly killed me, what makes it all worth it is the moment when someone bites into one of these little guys and gets that “omg this is so good” look on his or her face. For someone who expresses affection through food, that’s priceless. And if all this craziness amounts to an addiction, well, I’m not sure if I want to be cured, to be honest.